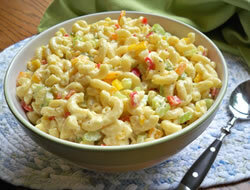 This macaroni salad feeds an army and is budget friendly. Great salad to bring to a potluck or entertaining guests on the patio. 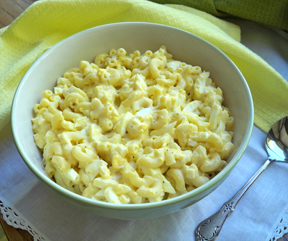 Cook macaroni according to package directions; drain and rinse with cold water. 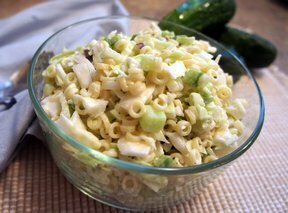 In a large bowl, combine cabbage, cucumber, onion and green pepper. For dressing, combine mayonnaise, sugar, vinegar and salt. Pour dressing over macaroni-cabbage mixture. Mix well. NOTE: You can make this salad a day in advance so the flavors blend. 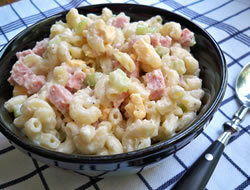 "Very good alternative version of Slaw or Macaroni Salad. Easy to adapt with various vegetables or protein sources. We love it with ditalini."